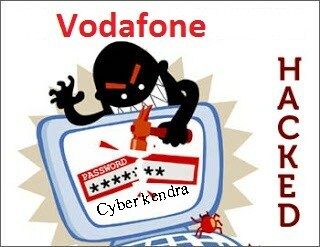 On last Tuesday, Vodafone have admitted that they have been hacked. Company's representative state that it was a highly sophisticated, possibly supported by someone from the inside. It is being says that about 2 million of the users data have been stolen. The stolen information includes names, addresses, genders, dates of birth, bank account numbers and bank sort codes. Credit card details, passwords, PINs, mobile phone numbers, and transaction data have not been taken by the hackers, Vodafone Germany assures customers. Company have notified to its customer that are impacted by the incident. After the breached of the security, company have notified to the Law enforcement authority. Germany Vodafone have warned its users that, cyber criminals may send the malicious or phishing mails designed to trick victims into handing over other sensitive details such as passwords and credit card information. Additionally organisation also advice not to open or reply these mails, and asked them to look close to there bank account statements. Company IT security have highest possible standard, and these are updated on the regular basis. Vodafone stats that, they will take necessary steps and further improve the security measure of the company to protect them against future criminal attacks.